Some weeks ago we have been asked to make a list of my favorite places in Liguria for a romantic escape. 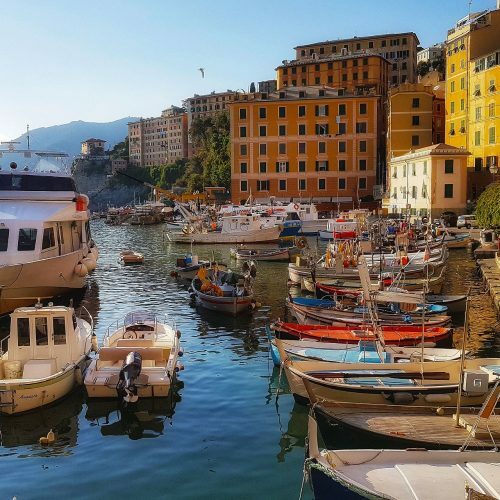 It came out a very long list: Liguria has countless places where couples can enjoy some time away, see and experience new destinations creating memories that last a lifetime! 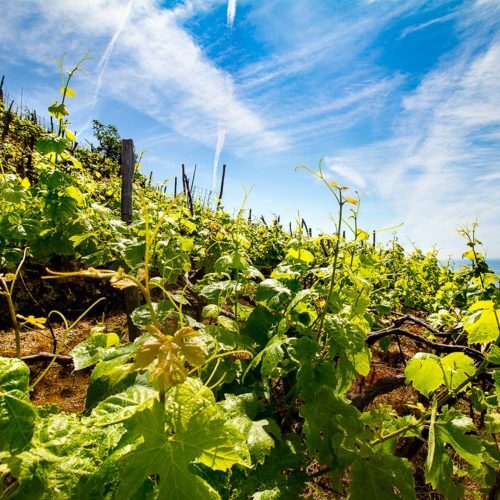 So, we have chosen just few of these ligurian corners which we’d like to share with you. 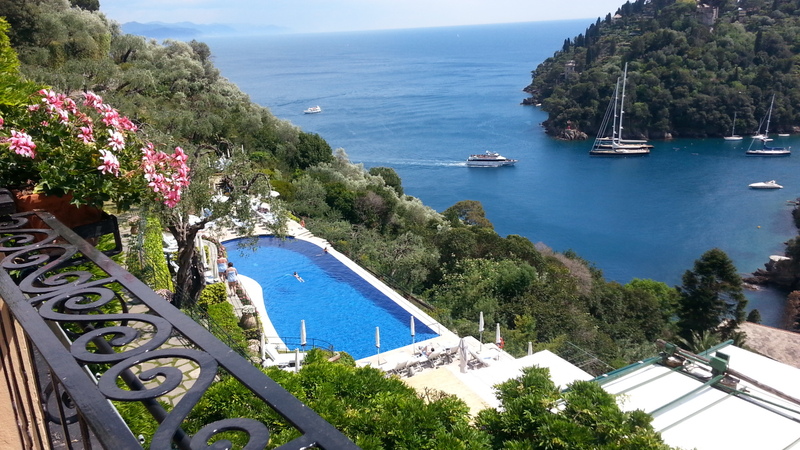 Located in the Eastern Riviera very close to the famous Cinque Terre, this is for sure one my favorite destinations. We suggest to take a walk along the picturesque bay of this authentic village with its multicolored houses facing the Mediterranean sea and wander among the narrow alleys stopping to eat in one of the typical seafood restaurants. Then, when the sun is setting what’s than admiring that magic moment from the striped San Pietro church, on the promontory of Portovenere and enjoy the wonderful panorama from a different perspective. 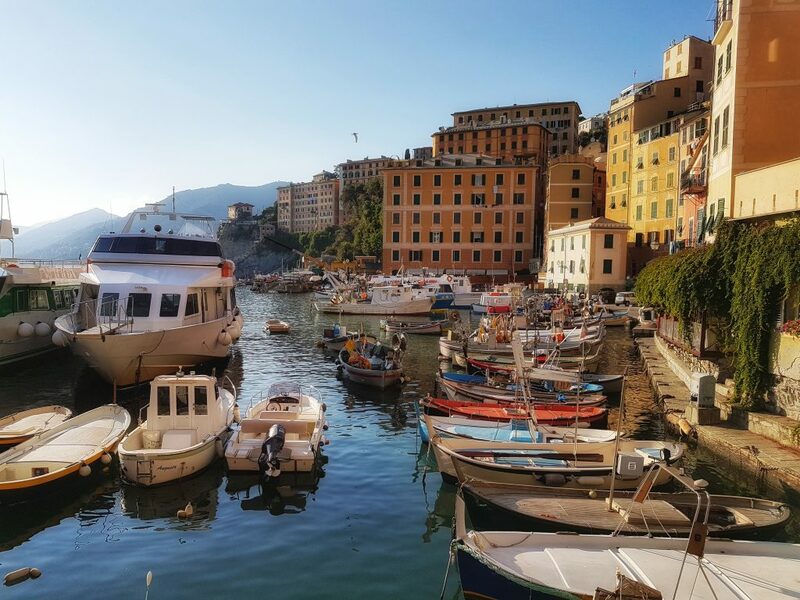 An experience that we recommend to do while in Portovenere is to take a private boat for a special tour in the Gulf of Poets admiring untouched villages such as Tellaro (selected and included in the “Club of the Most beautiful Villages of Italy”) and Lerici. 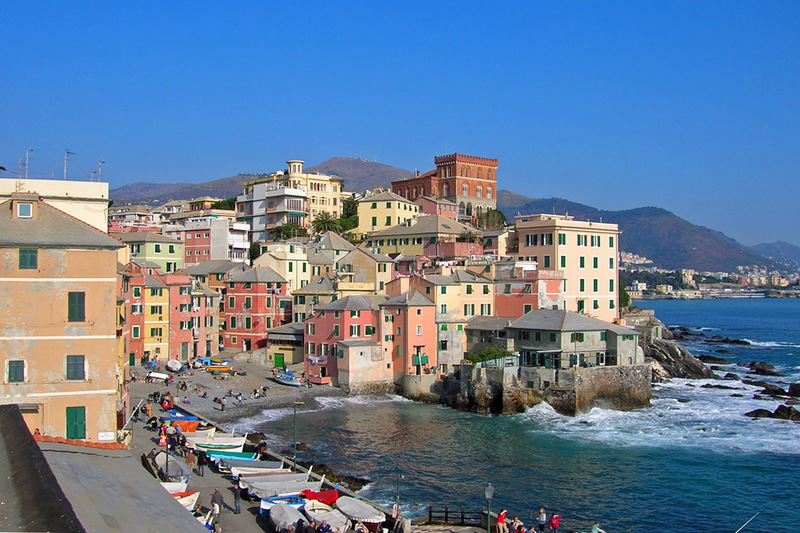 Camogli, fishing village, is a romantic place at any time of the year. Very close to the towns of Portofino and Santa Margherita Ligure, this destination has nothing to envy to the better-known resorts. We particularly love the harbor and the vivid colors of the houses facing the small gulf. During Valentine’s day, the local people in Camogli celebrates a lovely feast called “Innamorati a Camogli” (Lovers in Camogli). Many events take place during the feast, such as a poetry competition and an art one. Along the promenade there’s also a Valentine’s market! 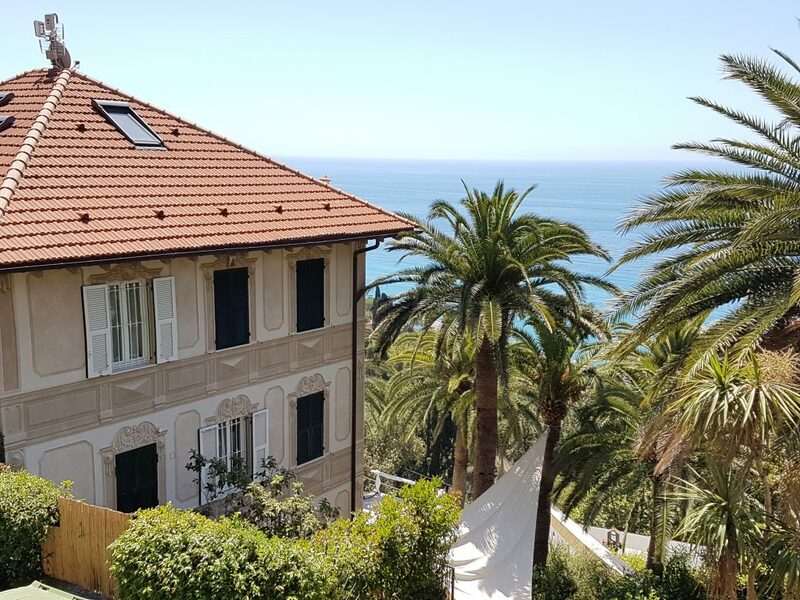 Nervi is not very known among travelers, but we think it is one of those places which worth a visit. This was a popular destination among Europeans and Russian intellectuals in the 20th century. The amazing promenade on the sea called “Anita Garibaldi promenade” and dedicated to the lovers is one of our favorite spot! Boccadasse, considered a preview of Cinque Terre, is a hidden gem at about 15 minutes if drive from Genoa famous historical center. What we recommend one you are in this small village? Enjoy a romantic dinner in one of the restaurants which faces the sea. A lovely town which belongs to the “Most beautiful villages in Italy” club and located in the western Riviera. 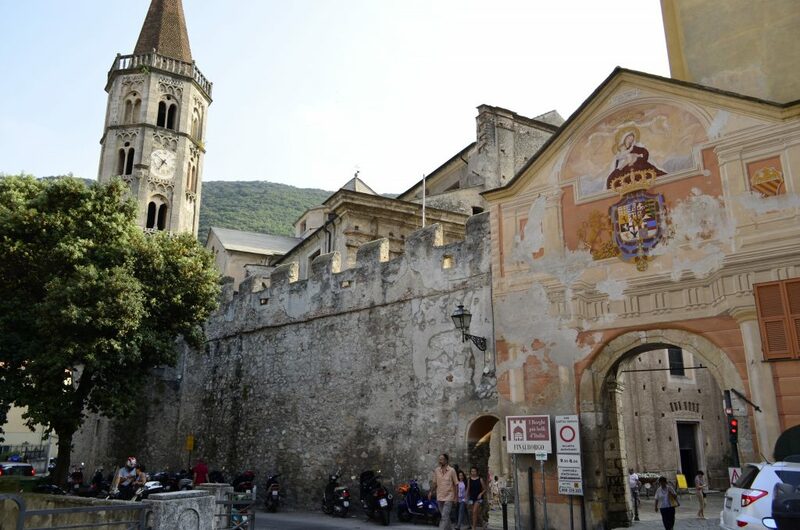 We always recommend not to miss to visit this destination together with the romantic Varigotti old Saracen village and Noli untouched fortified town. 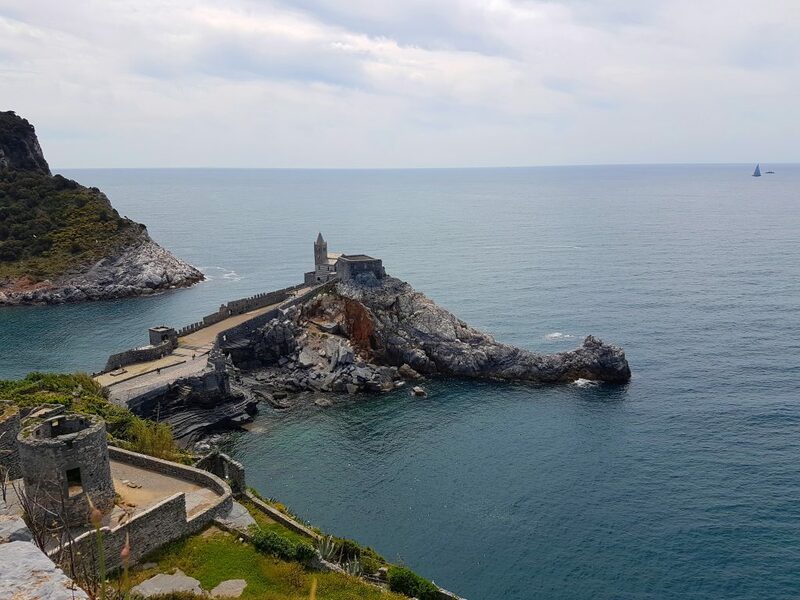 One of our favorite experience is hiking by the sea among these villages and admire the breathtaking and fascinating landscapes offered by this part of Liguria!